Coming Soon Pro is hands down the best WordPress coming soon plugin that I have ever used. There is a nearly infinite number of ways to customize the design plus Coming Soon Pro integrates with all the major email platforms for collecting subscriber information. I use it for every single website I develop and so will you! SCROLL DOWN FOR AN Special DISCOUNT OFFER – JUST FOR SPUNGER READERS! You’d think that finding a good, full featured coming soon plugin for WordPress would be a simple task. There are so many options available (a search for ‘coming soon’ on the WordPress plugin repository shows 759 items), it should be easy to find one plugin that was worth downloading. After spending hours downloading and trying plugin after plugin for a client’s website I came across Coming Soon Pro by SeedProd and have never looked back. This plugin is seriously awesome. In fact, it’s the first WordPress plugin I actually paid money for. The Spunger website used Coming Soon Pro while it was under development, so did my personal website, my company website, and every single other website I’ve developed in the last year. Coming Soon Pro allows me to build a great looking page with the client’s logo, marketing message, countdown timer, contact info, newsletter sign-up, social media links, images, literally anything you’d want on a coming soon page. The user interface is super simple too so setting up the coming soon page is quick and painless. Coming Soon Pro allows me to get to work behind the coming soon page and only the client can see what I’m doing. Coming Soon Pro has so many awesome features, this list is nowhere near complete. Pretty much anything you could ever possibly need for a coming soon page is built-in and super easy to set-up. Responsive and Retina Display Ready – Your coming soon page will look awesome on any computer or mobile device with built in support for retina displays. The coming soon page is also totally responsive. Full Screen Backgrounds – You can use images, videos or a slideshow of multiple images to create a captivating full screen background. Awesome Fonts – Coming Soon Pro is fully integrated with Google Fonts and Adobe’s TypeKit, giving you access to literally thousands of font options. Countdown and Progress Bars – You can choose between a variety of countdown styles and progress bars, or a combination of the two to let your visitors know when your site is launching. You can even set your site to launch automatically at a certain day and time. Capture Email Addresses – Coming Soon Pro features integration with all of the major mailing list providers, including MailChimp, Campaign Monitor, Constant Contact and Aweber. You can also store email addresses right inside of your WordPress database or integrate with third party plugins like Gravity Forms. Translation Ready – Coming Soon Pro works with translation plugins like WPML so you can easily offer your coming soon page in multiple languages. Social Media Optimized – You can give your visitors easy access to all of your social media profiles. You can even use custom icons and rearrange the order of the icons on your coming soon page. 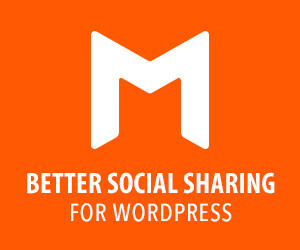 Social sharing is also built in too, allowing visitors to share your coming soon page on their own social networks. Access Controls – You can select exactly who can see your website behind the coming soon page by specifying a bypass URL, super handy to let clients see their website under construction. You can also allow access by IP address and WordPress user role. Google Analytics Support – You can insert your Google Analytics code right into Coming Soon Pro and not have to worry about installing plugins or changing WordPress themes during the development of your website, the Google Analytics is always operational. SEO – You can easily add your own favicon and SEO titles and descriptions. Where Coming Soon Pro really excels is it’s ease of use. The interface is super clean and simple, all features grouped into logical sections that allow you to jump right to where you need to go. You want to add social media icons – jump to the social media section. To change fonts, click on Design Settings and then scroll to typography. It’s that simple. After using Coming Soon Pro I wish more WordPress plugins could learn a thing or two about interface design. Everything is simple, logical and user friendly. I can set-up a coming soon page for a new client in a matter of minutes because the interface is so well laid out. Coming Soon Pro has a great pricing structure too. For developers, the All Access package gives you a lifetime of access to updates, support and the ability to install the plugin on as many websites as you want. If you only develop one website at a time the Personal License might be a good purchase, however it’s limited to one year of updates and support, and you can only use the plugin one site at a time, so if your projects overlap you are out of luck. Special OFFER JUST FOR SPUNGER READERS! Spunger REALLY, REALLY loves this plugin so we are offering our readers a special deal. 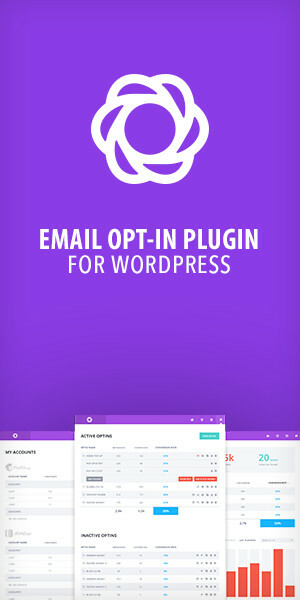 Use the coupon code SPUNGER20 and save 20% off SeedProd’s amazing Coming Soon Pro WordPress plugin. Just visit the SeedProd website and enter the coupon code during checkout. Save $489 on a 1-Year of WPMU Dev Membership! Deals	Amazing 50% Discount at Designmodo!